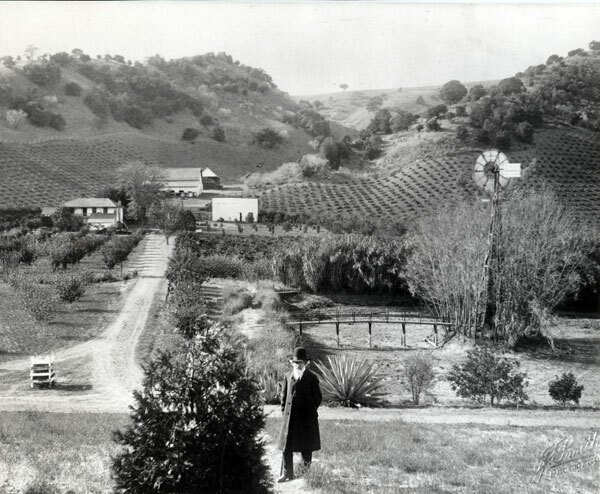 Noted horticulturist in Alhambra Valley, near Martinez, California, and father-in-law of John Muir . From the time they first met, John Muir spent much time talking with his future father-in-law, sharing their common interest in plants. Strentzel was born in Poland, but after the unsuccessful Polish revolution of 1830, fled to Hungary. There he was trained as a viticulture and later trained as a physician at the University of Budapest. Coming to the United States in 1840, Strentzel traveled to the Trinity River in Texas, where he built a cabin on the present site of the city of Dallas. 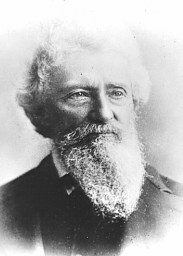 When the colony failed and dispersed he removed to Lamar County in the same state, was married at Honeygrove to Louisiana Erwin, a native of Tennessee, and in 1849, with his wife and baby daughter, Louie (who eventually became John Muir's wife) came across the plains from Texas to California as medical adviser to the Clarkesville "train" of pioneer immigrants. Not long afterwards he settled in the Alhambra Valley of California near Martinez and became a famous horticulturist. In 1880, John Muir married Strentzel's only surviving daughter, Louisa. In 1882, Dr. Strentzel constructed a 10,000 square foot Victorian Italianate mansion on a knoll above his vast orchards; John and Louisa Muir moved into the home after Dr. Strentzel's death in October 1890, and it is now preserved by the National Park Service as the John Muir National Historic Site. John Theophil Strentzel is buried in a small, private cemetery, along with other family members (including John Muir). The cemetery, now owned by the National Park Service, is located near the family's Alhambra Valley home. Dr. John Theophile Strentzel - Short biography from the U.S. National Park Service, John Muir National Historic Site. The San Francisco Polish Club has compiled extensive research materials and newspapere clippings on Louie's father, a Forty-Niner, Polish political refugee, physician, and horticulturalist. This link also contains extensive information on Dr. Strentzel's wife, Louisiana Erwin, who he met in Texas, and their daughter Louisa Wanda (Louie) Strentzel Muir.. (off-site link). Non - web resource; "Life of Dr. Strentzel," Contra Costa Gazette, March 15, 1925.